If your relative is in hospital and you’re under pressure to have a financial assessment, this article will help you. It looks at who should be paying for care between hospital discharge and a funding decision. Your relative is in hospital and you’re under pressure from the discharge team to get them out. However, no one has done an NHS Continuing Healthcare funding assessment. You complain about this and you’re told the assessment will be done ‘later on’, after your relative has been discharged. Also implied is that your relative will pay for care in the meantime. You may also have come under pressure to have a financial assessment (a means test). There’s a whole lot wrong with this scenario – and yet sadly it’s all too common. No one will have looked at who should legally be paying for care between hospital discharge and a funding decision for NHS Continuing Healthcare. Let’s suppose you can’t fight the pressure from the discharge team and that your relative is discharged. Who should be paying for care at that point? First of all, a person in hospital who needs ongoing care should not be discharged from hospital without having been considered for NHS Continuing Healthcare funding. The usual assessment process for NHS Continuing Healthcare has 2 stages. If a Checklist assessment for NHS Continuing Healthcare has been carried out (stage 1), and it indicates potential eligibility for Continuing Healthcare funding, there must then be a full multidisciplinary team assessment (stage 2). If a person’s ongoing needs are not yet clear, there may possibly be an argument to discharge the person and wait until their ongoing needs become more apparent before stage 2 is done. The full NHS Continuing Healthcare assessment process could eventually indicate that the NHS does have a legal duty to fund all care; the NHS cannot offload this funding responsibility to anyone else in the meantime. Upon discharge from hospital, if a person is means tested and told to start paying for their own care, the local authority may, as a result, be in an illegal position – because it may have taken responsibility for care that is beyond its legal remit. No one should carry out any financial assessment (means test) until it’s clear who is responsible for paying. The health and social care authorities have no business asking about your relative’s finances during this time. So it’s very clear who is responsible for paying for care between hospital discharge and a funding decision: the NHS is. Why are elderly people so often wrongly charged for care? My mother has been in hospital for 3 month (twice in intensive care). She is 80 years old and now has newly diagnosed Type 1 diabetes. She can’t swallow and is therefore eating very little, she is immobile, cannot control her new condition and therefore her sugar levels are frequently soaring into the 20’s until the nurses administer her medication. The doctors feel it may be psychiatric. Update on my mother (96). After falling and breaking hip; dislocating other hip in hospital 3 times and having operation to fuse hip the hospital came to discharge. My mother had lived alone in 2 storey cottage for many years. Hospital carried out “cognition check” and decided she was unsafe to return to her home (I agreed as I had explained that I thought she had dementia but had not been diagnosed – increasing memory loss; all gas and electricty taped off in house as she leaving them on; putting cans in microwave, etc). Hospital discharge indicated that she would be placed in a care home for 12 week period for interim assessment decision which it was stated would be paid for by local authority at which time there would an ongoing care assessment, a formal mental dementia assessment and a financial assessment for the future. “Long story short” I am now disputing with local authority who are trying to charge her for the 12 week interim placement. Dementia diagnosis was positive for mixed dementia. Fortunately I have LPA so control the financial side of things. Will have to sell her cottage to pay for ongoing care home fees anyway but annoyed at this “extra” 12 week charge being attempted. Discharge/ Social Workers denied statement and as I (foolishly) had not noted names – you are concerned with other things at such times – she as now had to pay ~£6000 for Respite Care. As I said to the County Council it is all “swings & roundabouts” as this means her lifetime savings run out quicker and she comes back on their “books” for future care fees earlier. There is no consideration for the patient in the process at any stage – it is discharge as quickly as possible from hospital as need the bed (Oh, nothing to NHS cost of course! ); Discharge/ Social workers are just “placement” staff; local County Councils just intent on paying nothing and extracting maximum monies from patient (Oh, because our budgets are tight and Govt hasn’t ……). NHS Guidelines are meaningless and certainly not followed and unless you are willing to go to Court at huge extra cost there is nothing one can do. I have been totally disgusted by the whole process of “Care for the Elderly” which is a bad joke. I work in community adult social care team, we work closely with hospital health & social work teams, in relation to hospital admission & subsequent discharge I would always request a CHC checklist and/or fast track considered once the patient is confirmed medically fit, however it appears a CHC health panel in conjunction with adult social care professionals have agreed CHC checklists would not be completed on behalf of a patient in a hospital setting. I am somewhat confused as I have read articles, NHS framework & various health processes in respect of CHC & hospital discharge planning , the information indicates the CHC documentation should be completed prior to discharge & once the individual is medically fit. I am at a loss as to how I can challenge this new updated system when both a health & social care panel have decided this is the way forward, I assume this progresses & speeds up discharge, although I doubt this adheres to the NHS framework or legally protects the patient. My Mother was being discharged from Hospital after being Diagnosed with Mixed Dementia. There was no Care package in place for her. We asked for an Assessment for CHC and was told by the Social Worker she would not be entitled to it, we pushed and they agreed to the checklist which did suggested a full Assessment was needed, to do this they said my Mum would be transferred to a Nursing home for 2 weeks assessment and we would find out within 28 days. The first 2 weeks were funded by the NHS then the home gave us a bill for the following month. At this stage there had been no financial assessment done as we had refused to do so until we knew the outcome. Exactly 28 days after the meeting I rang the CHC team to find out what the decision was to be told they had sent it out in the post but they sent it to the wrong address. My Mother was awarded FNC. I am now in contact with the CCG trying to get a refund for care home fees for the 28 days as I’ve read that the NHS is responsible until we have the decision. They are adamant my Mother is not entitled to a refund. I don’t know where to go from here and would welcome any advice. My 87 year old father has had 13 hospital admissions, 15 community treatment team visits and 5 falls in the past year. He has been in hospital for the past 3 weeks with stage 4 COPD community aquired pneumonia and congestive heart failure and is quite poorly. Dad has now agreed to a care home and following a Multidisciplinary Team assessment on Friday, the palliative care nurse is applying for Fast Track NHS Continuing Healthcare funding. I have a home in mind that is a residential home, with 4 palliative end of life care beds, but doesn’t have a nurse in the team. They are registered as platinum on the GSF framework and have a contract with the local CCG to provide end of life care. However, the palliative care nurse is saying that the home has to be a registered nursing home, for funding to apply. Is this correct please? Jackie, the need for a registered nurse only applies in cases when the very small weekly Funded Nursing Care component is paid in conjunction with Council or self funded care. the logic is that courts have stated that all care is nursing when provided to someone who cannot function as a healthy person could. To further clarify my mother was ‘nursed’ at home by my father and NHS Continuing Healthcare funding was paid. Hi Chris, Thank you for your very helpful reply. I met the palliative care nurse again today and reiterated the residential home that I wish my dad to go to. The nurse has added additional support in the community, to assist in the case, such as the community palliative care team. I hope to hear further news this week. I have only just come across your website 5 months after my Dad was taken into a care home. We have a Multidisciplinary Team (MDT) Continuing Healthcare (CHC) assessment next week and I have only just realised how important this is. Please can you tell me where in the Framework or Care Act it states that a patient’s costs should be paid by the NHS on discharge if the Checklist has come out positive and the patient is awaiting a full CHC MDT assessment? My father who has advanced Alzheimers was sectioned and taken in to hospital as he had become non compliant with his full time carer’s attempts to keep him clean and healthy- he is doubly incontinent. My father was discharged to a care home from hospital on the 27th day of his stay in hospital (we feel to avoid him having to go to a section 3 and then he would have had all costs paid on discharge under 117 regulations.) We were immediately told that we had to start paying the care home fees as we would be self-funders. We have been paying extortionate care home fees since November last year and are hoping for a miracle at the meeting. How do you think we should proceed? My 83 year old mom has been in hospital for almost 3 weeks following a severe stroke. They did thrombolyse her but unfortunately resulted in haemorrhage and swelling of the brain. She has no speech whatsoever, no understanding, paralysis on the right side and is unable to mobilise, is on mashed diet and thickened fluids although unable to feed herself and is doubly incontinent. They are also concerned about her low heart rate and has today been fitted with a 24 hour tape. They have said she needs 24 hour care and are pushing for her to be discharged to her home within the next two weeks with a package of care. They have today been to assess her bungalow for any equipment she might need. I have no problems regarding the care as I have 21 years experience of being a carer for the NHS and intend moving in with Mom to care for her. However I have asked for a CHC assessment as I feel she meets the criteria for eligibility, which to my knowledge has not been done. I have been asked to attend and MDT meeting next week to discuss her discharge. Any advice would be appreciated. Thank you for getting back to me so quickly -much appreciated. I think they’re trying to foist a joint package of care on us because they found out from my mum’s last (residential) care home she was self funded so I may be up against it in her behalf. I am going to fight it and try and get her paid for by the NHS for the last few weeks of her life at least, as there’s no way she could afford the fees for the place they’ve put her from what’s left of her money and I don’t want her moved from pillar to post.shes so frail. It’s a mess isn’t it? We’ve paid for her to go into a residential dementia unit as we thought it the best place for her- and it was initially – but I am now beginning to realise the residential home management probably kept her where she was far too long, getting their beleaguered workers to do more and more nursing, telling me she wouldn’t qualify for any nursing fees. Now she’s in a nursing placement where they are telling me she would have triggered ages ago! Thank you again. May be back while I get through the next few weeks! Joint funding cannot be discussed or considered prior to the CHC assessment by an MDT. You can appeal against any decision not to award full CHC even if the outcome is a recommendation for joint funding. If you do win CHC you can then look to trigger a retrospective review with the CCG for CHC for the years when she was in this dementia Unit. If you have had Social Services assessments at any time in the last few years and they didn’t carry out a checklist you may have a case to complain against them. But focus on CHC fro now that can come later. I’ve been told they are going to reach a decision before the end of the three weeks’s paid placement, so it sounds like it’s going to be speedy. 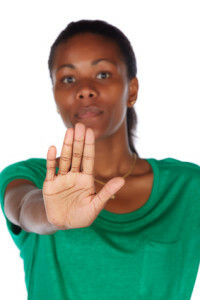 If my mother doesn’t get funded and I appeal, do I have to pay the fees on her behalf during the appeal process? They cant make a decision without there being a full MDT ( with Social Worker present) without there being a full comprehensive assessment of her health & social care needs to aide in the completion of the DST. You have the right to be there and to have copies of all assessments and evidence to be used in the MDT & DST. Watch out that they don’t try to have an MDT without you being there. If it needs to be delayed then so be it and they continue to pay. You only become responsible for fees when you receive a formal written notification from them. From the date of that letter they hand over financial responsibility to you and not before and not based on any verbal notification. Unfortunately you will be responsible through any appeal process. Note Para 5.12, 6, and 7.21. From what you say, it appears that there hasn’t been a ‘follow up’ screening for CHC post discharge. Additionally Social Services have not complied with both the NF and their statutory duty under the Care Act to consider CHC eligibility in their assessment of need. I would advise that you contact the assessing Social Worker and advise that they had a duty to complete a checklist as part of their assessment and failed to do so. Request that they complete a checklist ASAP and back date this to the date of their original assessment. It is also concerning that you are paying for care visits and Social Services only pay for some care. If your mother has eligible needs and her finances are below their threshold then Social Services should be paying for all of them. Unless their financial assessment calculated that your mother can partially fund her care. PS: Be careful if you’re thinking of stopping paying for Social Care as this can cause added problems. It is better to try and get them to fulfil their legal duties under the Care Act and the NF with regard to CHC, you can always ask for monies to be refunded if you are able to obtain CHC. My 92 year old mother was self funded in a residential home for years and they always resisted the idea of doing a checklist for containing health care when I raised it, saying she wouldn’t quality, despite her now having severe cognitive impairment (progression of dementia/stroke), severe constriction of limbs, unable to move/not assist when moved, high risk of skin breakdown on Waterlow chart, doubly incontinent, and a high risk of choking (gelled liquids, pureed food, etc). She was taken into hospital after vomiting blood and given antibiotics for suspected UTi and they said she was too frail for further testing. Staff told me an NHS checklist would be done to assess nursing needs but discharge nurse attempted to discharge her back to residential home without my knowledge. I found out and stopped it. Another nurse took over, we did the Checklist but she discharged Mum to a nursing bed at a home awaiting assessment. She left documents by Mum’s bed saying the NHS would only fund the home for 3 weeks after which Mum would be liable for all her fee in the nursing home. All the documents pertain to social services/funding. Should I say I will not pay fees after the three weeks if no decision is reached or a decision is reached and I appeal or will I end up in a fight with social services. It seem all wrong to me as Mum has needed nursing help for years. I have just had a call saying the review must be done within a certain time frame as Mum may well need to move to a different nursing home . I pointed out that surely that depended on the outcome of the review for NHS care. Can I refuse to pay the fees after three weeks on Mum’s behalf or will I get into an argument with social services? She’s not quite yet down to the threshold after which she’ll need social services funding help. Both the ward and Social Services are trying to pull a fast one. 1. Your mum is awaiting a full assessment for CHC, so she benefits from being in the ‘CHC process’. All of her care needs remain the responsibility of the Hospital or the CCG. It has nothing to do with Social Services or you or your mum at this time. See para 35, PG 13.8 (page 64) of the National framework. 2.There are no time limits set on how long they fund care, they are responsible for funding until the CHC process is completed and you have been formally advised by the CCG in a letter. You don’t pay any backdated fees, you only pay care fees from the date of the letter from the CCG. 3. The discharge process cannot kick in until a CHC process has been completed. Discharge regs mean that Social Services cannot take a referral from the ward until a CHC process has been completed. In this case it hasn’t, so Social Services have no legal duty or authority to take over the case or to ask for funding. 4. Social Services should be part of the CHC assessment process and there is a legal requirement for them to carry out a Care Act Assessment of needs and the CHC process requires that they carry out a comprehensive assessment of your mums health & social care needs prior to the MDT assessment for CHC. The NHS: Hospital or CCG pay for all care fees for your mum until your are formally advised in writing of the outcome of the CHC process. This is a NHS led process and Social Services have no legal duty to take over the case or discuss finances until the CHC process is over. There should be a comprehensive MDT assessment of your mothers health & social care needs prior to the CHC/MDT assessment and you have the right to be present. You or your mother would only be liable for fees after the CHC process is complete and only if you are refused CHC funding. My Mother is 90 and has several medical conditions. She also has Dementia which is getting steadily worse with communication and the ability to take care of herself diminished. She has had several hospital admitions in the last 12 months for falls, a heart attack, small stroke and recently a fall when she broke her hip. My Mother was paying for her care in a care home but she was not getting adequate care so I have moved her in to my home. She has now dropped below the threshold for paying full care costs. The council rang me to arrange a financial assessment and I asked about a Continuing Healthcare (CHC) assessment they said it would have to be carried out after my Mom returned home from hospital as she would recover from her broken hip. So, my Mother returned home and the council pay for some of the visits of carers and we pay for extra visits. Who do we speak to to arrange a Continuing Healthcare assessment or is it too late? They should have carried out a checklist when at the hospital. It should be done before discharge. CHC assessments (if the checklist indicates the need), should be undertaken by the NHS before any talk of financial assessments by the council. If none of these have been done then I would be wary of paying for any level of care provided by the council. The cost and who should meet it has not been assessed. And no you are not too late to request a CHC checklist via your council or indeed by going direct to your CCG. Hello again. My mum is soon to be discharged from hospital with section 117 care. However I believe the consultant at the hospital will lift the section 3 as soon as my mum is home. I have asked the consultant if a DST checklist has been done prior to discharge. Consultant says care will be funded through 117. There was a CHC application on-going before mum went into hospital awaiting a decision. I asked the Social Worker and Consultant to do a CHC checklist in parallel to the Section 117 in the event of the section being lifted. Mum still has the mental health needs and has behaviour problems just the same as she did prior to admission to hospital earlier this year. I have just received an email where the consultant is asking the Social Worker Manager what the rules are about CHC etc. Is this right that the hospital defers back to the SW for advice.? Any help much appreciated. My mother is currently in hosptal and now stable so looking at discharge. I have had a recommendation that Mum qualifies for the nursing component but not full CHC. The local authority are trying to be helpful and to find a nursing home. i have not had the CHC decision in writing although have informed the local authority I will appeal as soon as I do. They are now in discussion as to what will happen NHS/Local authority and waiting to hear? Not sure what to do as I do not think that they will allow Mum to stay while an appeal. The appeal will focus on the decision as Mum would meet the Coughlan test. Dan – were you invited to and/or present at the assessment? If not, the assessors have not followed the correct process and you can appeal on that basis alone. You should also receive a copy of the Decision Support Tool and that should contain a clear written rationale for the funding recommendation. This recommendation then goes to a separate decision making panel at the CCG. The assessors themselves do not have the authority to make the actual decision. Having your mum in hospital may give you extra leverage in getting things redone properly, and she should not be charged for any of her care if the correct process has not been followed. Thank you for this. The NHS agreed a few weeks back that they would be reposnsible for Mum’s care until I have appealed which is good. She has moved to a smaller hospital where the staff are great and she is also getting full MDT help and making some small progress. This is good considering if I had not moaned she would now not be getting any rehab as they said she had reached her full potential. I now have the official decision and we were at the meeting although totally unprepared. Now doing the appeal letter on the basis of the decision alone with one Severe, 3 Highs and others. Mum would comfortably meet the Coughlan test and this will be the main focus and keeping it simple. Interestingly the local authority who had been passed this have said that Mum definetely needs a nursing home while they were involved and that there funding is not enough as standard. This kind of makes the whole Coughlan ruling quite clear that this must be a primary health need. Hi Bernie. Thank you so much for your reply to my query. I have heard from the LA today that our claim for Housing Benefit has been turned down (much as I always suspected). We are going to struggle through as a family (even though I’m a single mum) to top up the income he gets from the rental of his house so that his supported accommodation gets paid. I cannot bring myself to sell my brother’s house. It would break his heart and cause him huge emotional damage. It was bought because the LA could not provide any suitable place for him to live 20 years ago and he paid for it himself out of his benefits. It’s just obscene that the LA want to have the penny and the bun. He’s been ill for forty years and my mum and dad saved the LA thousands by their devoted care over those years. As you suggest, I am going to make a formal complaint and in addition, change my solicitor…….Thank you so much once again. 5. Can I get free housing? The law is not clear about who will be able to get free housing under section 117.12 If your local authority says you are not entitled, make sure you challenge them as soon as possible. Ordinary housing will not usually be free under section 117. ‘Ordinary housing’ means a house, flat or room that you rent from a private or social landlord. Supported housing is housing where you get care, support or supervision. Your care and housing will normally be run by different companies. This housing is not the same as a ‘care home’. You may be charged separately for your rent and care. A lot of local authorities will charge you for rent even if you are under section 117. But they should still pay your care costs under section 117 if they are not paid for by another scheme. The law is not clear about if these local authorities are acting properly by charging you rent.13 You can challenge your local authority by making a complaint or taking legal action. I would be so grateful if you could please give me some urgent advice. My brother who is an acute paranoid schizophrenic was released from hospital under Section 3 of the MHA into a supported accommodation Extra Care facility after being in hospital for 6 years. Since he started living there in February this year it’s been a hellish time as shortly after moving in the cost of his rent rose dramatically (200%) and I’ve refused to sign the Tenants agreement and written lots of letters to object. We are still waiting for a Housing Benefit application to be processed which, anyway I think will come to nothing as my dad made the mistake of buying my brother a house (and putting it in his name!!!) 20 years ago in an attempt to give him a safe place to live. His care is being funded jointly be the NHS and the LA – but not his accommodation. This is the situation now: I asked for my brother not to be discharged until this rent rise was fully investigated (we haven’t signed anything) . I engaged a solicitor for advice and we were finally able to obtain a CTP meeting to discuss everything. I was aware from friends of the existence of Continuing Healthcare and I asked a solicitor did she think my brother would be eligible. She said yes as he’s been under Section Three and will be subject to 117 aftercare. I went to this meeting confident my solicitor was going to ask for this funding to be considered as per my instructions. To my horror she contributed to the meeting hardly at all – and my brother was discharged from section 3 onto a Section 117 with me in total shock as to how things had gone totally against me and I had been whitewashed by one and all – and continuing healthcare hadn’t been requested . 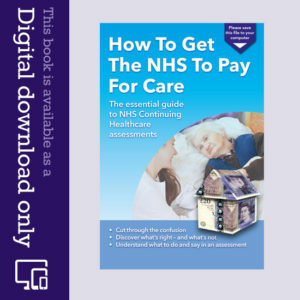 Firstly a huge thank you to Angela, this great website and the digital download How To Get The NHS To Pay For Care which I am constantly referring to. Very briefly, after an initial misdiagnosis as a pulled muscle, my mother has been in hospital with repeated kidney infections for 6 months, which has led to a stay in HDU, delirium, falls, a broken shoulder, a bleed on the brain, ecoli, and a chest infection. She has one functioning kidney, which contains residue from stones and cannot be drained due to her age and health and so is at continual risk of further infection. She currently can walk only with a Zimmer frame assisted by 2 nurses, needs daily physiotherapy, has a catheter, a pacemaker and pernicious anaemia. Delirium reduces her compliance with the nurses regarding nutrition, fluid intake and medication and also her ability to make the correct choices regarding her own safety, hence the falls. Her ongoing health needs are all related as if her fluid intake is not high enough and the correct medication not given, this increases the risk of infection, hospitalisation, delirium, falls, etc. Prior to going into hospital in November, my mother lived alone in her own house, still drove herself and went swimming a couple of times a week. The hospital she is in is now looking to discharge her and my sister and I are researching suitable care/nursing homes as she is no longer fit to return home. We are now in the assessment process to basically decide who pays for my mother’s continuing healthcare. My mother passed the Checklist Assessment, only after I insisted it was done again in our presence as we were initially told they had already done this and she had failed. This qualified her for a full assessment using the DST which we attended and were part of the discussion until being asked to leave the room whilst they did the scoring. Was that correct or should we have stayed in the room? On our return to the room were unofficially told she had failed by the panel but were not told how she had scored in any of the domains. I thought their duty is to pass on their findings to the Clinical Commissioning Group who actually make the decision and inform the relatives in writing. Is this correct and if so have there been clear breaches of procedure. We will be appealing this decision when we formally receive it if indeed it says she does not qualify. 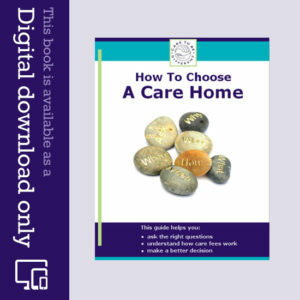 We have now decided on a care home and they will be assessing my mother on Monday, my sister is attending this assessment. My mother has had another kidney infection and has been back on antibiotics this week and yet they still want to discharge her. Please can you confirm that I am right in thinking that if she does get discharged to the care home the fees are currently the responsibility of the NHS as the decision process and appeal process have not been completed. Thanks for your kind comments, Ian. There’s no reason for you to have to leave the room while the scoring is being discussed. Indeed, that’s a vital part of the meeting and should involve input from all parties, including you. You should also have a copy of the Decision Support Tool containing all the scores and all the notes taken during the meeting. You’re correct that the assessors at the multidisciplinary team meeting can only make a recommendation and not a final decision. The attitude of the social worker regarding the financial forms is sadly not unusual – and yet it is only if you have received a final funding decision in writing from the CCG (not the assessors in the meeting) and only if that decision is ‘no’ that anyone should start talking about money. Until that time the NHS retains responsibility for funding. We finally received the written decision from the CCG that my mother did not qualify for continuing NHS funded healthcare 4 months after the checklist assessment was done. In the meantime my mother has been receiving good quality care in her care home, but nobody has been paying for it which culminated in an eviction notice due to unpaid fees. I have been upfront with the care home about the situation and have not signed a contract with them to say my mother is self funding. I have told them and social services that the NHS should be paying the fees on a ‘without prejudice’ basis until the appeal process is completed, as per the National Framework Guidelines. The NHS have refused to do this saying that this only applies when there is a dispute between them and the local authority. The local authority however, have been great and have agreed to pay the outstanding and continuing fees until the appeal process is completed on a ‘without prejudice’ basis and we have signed a contract with them to that effect. We have now responded to their ineligibility decision with a 27 page document explaining how they have breached the process and also how they have applied the eligibility criteria incorrectly. My sister has kept daily records of my mother’s health for almost the last 12 months which have helped hugely in our ability to respond. The scoring and comments on the Decision Support Tool (DST) were very inaccurate and based entirely on days when my mother is infection and delirum free! I feel like I am on a mission here, but will not give up the fight and would encourage everyone else to do the same. Right is right, both legally and morally! Hello, our 91 year old father is in hospital following a heart attack and pneumonia. This also caused a stepdown decline in his already advanced vascular dementia. He now has a severe cognitive impairment, no mobility, no speech, unable to feed himself, drink etc. in short vegetative but sentient. He was assessed for Continuing Healthcare (CHC) while in hospital where he is now. But as he is ‘stable’ the hospital is mounting its pressure for him to be discharged, even though they initiated the CHC eligibility procedure because they saw clearly his needs could only be met in a nursing care home. We received a difficult to understand phone call from someone speaking for the CCG, telling us, his care will not be funded. We have not however had the confirmation in a letter yet, but the hospital is mounting its pressure to discharge my father regardless. Neither has the hospital been formally notified by the CCG of the outcome. We know we will be offered the opportunity to appeal, but can’t until the letter is received. We don’t know whether the hospital has the authority to remove my father into a care home before or while we appeal, although it seems to be threatening to do so. We are still only looking for nursing homes and can’t move so fast as we have affordability issues that need careful planning and need to be sure we find a good one. Do we have any chance of making a successful appeal without professional help? Who could we turn to? Does the hospital have the power to remove our father from hospital in the meantime, ie before receiving the CCG letter and when we do, while we appeal? Our mother is also frail and we are worried this will make her ill. If the sums involved are large and you are at the beginning, then whilst attempting to learn this degree level course of complex information, I would use my loved one’s money to employ a lawyer. It is correct (according to my solicitor), to use a person’s funds to protect their funds if you can show that it is the most likely thing that they would want you to do. Once you have gained experience and knowledge, then to reduce costs, you could instruct individual action (with an approximate known cost) at various stages of the process whilst conducting correspondence and call yourself. The reason why I would have done it differently in this way from the beginning in my case is; NHS assessors, managers of appeals etc. do not accept that I have any legal experience or knowledge. Yet my earliest work required me to legally arrest people, compile evidence, go to court, and ensure that my legal knowledge was sufficient or better than the accused’s lawyers to gain a conviction. Ever since then I have worked in environments that required considerable legal knowledge to operate without risking public enquiries and probable imprisonment of myself or others……. But I cannot legally claim to be solicitor so I am ignored whenever pointing out even simple illegalities within the corrupted version of the process that is often used. e.g The NHS would not even recognise that altering a positive recommendation to fund and changing five of eleven domain levels at panel level was fraudulent. And then to send the Decision Support Tool (DST) that the panel had created, in place of that created at the DST stage….. was forgery. The Police agreed but claimed that it was (too complex to take the time to understand the entire process) and probably not in the public interest to prosecute. So yes use a competent and specifically knowledgeable lawyer. It is my understanding that anyone that has completed documentation giving power of attorney can enact it any time they wish. So , having capacity to make decisions does not mean that an individual has to if they have appointed another to do that for them. Hi Jane and Bernie. One additional question please. At the best interest meeting this week should the social worker that was involved in assessing my mother’s needs in July 2015 be present rather than a social worker who has never met my mother.? Many thanks. Jane – any decision made at a best interests meeting must be made in consultation with others who are close to the person being discussed. This could be the key worker from social services – but don’t me surprised if they have changed jobs. The decision maker at a best interests meeting has a duty to take into account the views of all relevant parties, and this could include family members, parents, carers, power of attorney or deputy, and any professional who can contribute to the outcome. If you’re concerned that the meeting won’t properly represent your mum, you may be able to get it changed or delayed. Many thanks will read both of the suggested links before next Thursday. Have a great bank holiday weekend. Note what a mental incapacity is. What must happen before a BI is convened. What should happen before a meeting. You may also want to research on google the mental capacity act. Don’t be overawed by the meeting. Go prepared and if they are not holding a BI meeting in compliance with the MCA then say so. You have the right to a copy of the organisations policy on Mental Capacity and BI meetings, ask for a copy of it before the meeting. If you have POA for finance or welfare then you are the ‘decision maker’ not them. Many thanks for your comment and info, Bernie. Hi Chris. Sorry for brief details. I have power of attorney and mum is currently on a section 3 in a local hospital. Next week there is a best interests meeting including psychiatrist, social workers, ward manager and other family members. I think the idea of the meeting is to establish whether my mum has capacity to make her own decisions. I have had a pre-meeting and i was uneasy when talk of funding was mentioned before any needs assessment has been done. Any help greatly appreciated and welcome. Good morning. I wonder if anyone has a brief lists of “critical” questions I should ask at a Best Interests meeting please. Jane I am not sure what you mean by best interests meeting. Is it some local nonsense designed to establish if you can represent someone, in their best interests? If so the framework requires any logical representative to be heard. This is interesting. I acted for someone detained under the Mental Health Act. the situation is you are correct re the 28 days but the Act goes much further and is very specific re the time in detention and it is not measured in just days its Days, Hours & minutes. My client who should have received N.H.S. Fully Funded anyway, the N.H.S. & Local Authority were doing their usual, but by getting the right information (eventually, usual long hard struggle) it transpired that the 28 days was in fact 28 + some hours therefore those hours meant Full N.H.S. Funding from discharge. Thanks David. I’ll go back and check the dates and timing of the hospital detention. David, can you please explain the link between s.2 detention exceeding 28 days and entitlement to full NHS funding from discharge? Piecing together the information I now have I believe my mother was detained for 29 days – although this will depend on whether the “lapse of s2 on midnight of the 5th “ refers to the cusp of the 5th and 6th (the normal meaning) or of the 4th and 5th. This is made more unclear because she was on MHA s.17.1 leave of absence from the hospital to the care home, where she remained, and so not physically released from the hospital at the end of the s.2 detention period. Any guidance would be appreciated. I think I am following but for this purpose the time of the order is recorded or should be. Therefore i am confused by you using the 4th / 5th or 5th / 6th if it was recorded at 23.00 then if it is 23.01 28 days later that discharge took place is it more than the permitted time then an order for detention after the 28 days would need to have been done. Thanks David, I’m sorry the details are a bit confusing. From the paperwork I have I think the s.2 detention did exceed the 28 days, by about 12 hours. There was no subsequent order for detention to cover those hours. My question is how that transgression would result in “Full N.H.S. Funding from discharge” as you mentioned in your original post? As you can see if someone is detained under Section 3 order then on discharge they would be entitled to Section 117 funding for all ongoing health & social care needs. Anyone detained under a Section 2 order would not get Sec 117 funding. They should be dealt with as any other patient in a hospital and as part of the discharge planning they are required to carry out a Continuing Healthcare (CHC) screening process with a checklist as per the National Framework for CHC, Discharge regs, delayed discharge regs and the Care Act. In my experience ward staff who work in specialist mental health hospitals have a tendency to focus on their duties under the MHA and to ignore the legal duties with regard to CHC and don’t comply with these statutory requirements to screen for CHC prior to discharge. Thanks Bernie, your comments have confirmed my understanding of the situation and the web link is particularly useful. You are spot on – there was no CHC checklist on discharge, or at any time later until I requested it. Opps sorry getting my S2’s mixed up with S3’s But thank you Bernie for sorting it out for me. This is a very interesting article but I wonder how far it would apply to a retrospective claim for funding, relating to a period that pre-dates the Care Act and National Framework, as in my mother’s case. My mother was detained in a mental hospital under s.2 of the MHA in 2006. On the expiry of the detention period of 28 days she was released straight into a care home under a 6-month Guardianship order. The care home fees were paid from the proceeds of the sale of her house and she remained in the care home until her death in 2010. No checklist assessment had ever been done before I requested a retrospective assessment in 2013. The result of this is that NHS CHC funding was not granted and I am awaiting an appeal meeting..
Can you tell me how far the points made in the article apply to a retrospective claim such as mine? Peter – even though the above article refers to the recent Care Act and the 2007+ National Framework, your mother should still have been assessed for Continuing Healthcare before she started paying anything in care fees. Her care needs may have been above the legal limit for local authority (social) care; this means that, if she was never assessed, the local authority that means tested her was potentially acting illegally in taking responsibility for her care. This principle also applied before the introduction of the National Framework. Thanks Angela, that’s very helpful and encouraging. Thank you for your replies. Since I wrote the plot has thickened. Chapter 1 you already know. Chapter 2 (29/03/16) – Today I contacted the Discharge Liaison person who claims to know the procedure and may hold a Checklist meeting today. However, she could not explain why or who had agreed discharge on Easter Sunday, I then asked to see the Checklist which should have happened but lo-and-behold she could not locate one. She also confirmed she knew nothing about the discharge because it was Easter. I asked to speak to the doctor on the ward but whether that will happen today who knows. The final straw was her hiding behind the Data Protection Act when I asked to see the Checklist and associated paperwork completed for Easter Sunday discharge. She did agree that if the Checklist was positive then a DST would held but if I’m not physically present at the Checklist meeting because I live so far away and I’m only on the phone how can I be sure they do not slew the result to their benefit. They also know that full CHC funding ends tomorrow to be replaced by FNC from a previous DST re-assessment held in February (result confirmed by letter by CCG). Chapter 3 (29/03/2016)- I was called and told that a Checklist had now been completed (I wasn’t invited to be there). The results of the Checklist were Mobility A, Continence B and the other 9 domains Cs. Based on these results mum would not get a DST and she would be discharged, probably later that day. I asked for copies of the relevant paperwork but was fobbed off with that would have to submit a formal request to the hospital as the FOI act applies. I don’t think that’s correct but I’ve yet to decide whether wading through the 431 pages of the Care Act 2014 Guidance notes to find chapter and verse will lead to insanity. Keep your eyes open for the next rivetting instalment of Diddy Dave vs The NHS Behemoth. Wishing you well with the next stage, Ingo. My mum was initially granted CHC in November 2014 on the basis of a DST (results P zero, S zero, H 2, M 3, L 2 and N 4, however I have a second copy of the DST showing a change to the Communication domain from N to L). Mum was reassessed in February 2016 with the following results (P zero, S zero, H 1, M 4, L 1 and N 5). On the basis of this assessment CHC is to be removed beginning of April and replaced by FNC. However, mum suffered a severe stroke February 17th is is now in hospital. I was advised by a doctor from the acute medical unit (AMU) that she probably would not survive but mum seems to have got better and was transfered to Ward 10. I have called Ward 10 on 21, 22, 23 and 24 March trying to find out how my mum was faring, clinically, only to be fobbed off with ‘fine’ and ‘doing okay’. Today, 27th March – Easter Sunday, I received a call from Ward 10 that mum was going to be returned to the nursing home where she has been since October 2014 and that they had agreed to accept her. 1. I have had no contact concerning this matter other than a statement 24th March that mum would be staying in hospital over Easter. Should I have had more than an out-of-the-blue call from a nurse who knew nothing about my mum’s condition? Surely the nursing home should also have called. 2. I have had no notification from the discharge coordinator that this would happen. Should the discharge coordinator have contacted me? 4. Is the hospital trying to ‘pull a fast one’? I contacted the most senior person on Ward 10 earlier (obviously no doctor or discharge coordinator as it’s Easter) and made her aware of the Care Act 2014 (my understanding of what Bernie Crean has written) and the nurse said she would stop the discharge and contact the site manager (I’m not sure what role this person plays). 5. Am I doing the right thing as I feel that I have a duty of care towards my mum and would prefer her to be in the nursing home but I am aware that the issue of ‘bed blocking’ looms large and once out of hospital trying to get mum reassessed again so soon after the last reassessment in February may be difficult to achieve. Ingo, You seem to be coping with the system well. The Hospital should be carrying out a Checklist prior to discharge, at the very least. If the care needs have increased, then that should become apparent. A CHC assessment should follow a sufficiently poor checklist. That can be carried out in the nursing home. As for your comment of having a new CHC assessment close to the last one……. The National Framework actually insists that some people will require more frequent reviews of their care needs. This is of course a get out for the NHS to hassle patients that already receive funding…….. It does however work both ways. Get mean and insist on a checklist and then ensure (regardless of their objections), that a CHC assessment is undertaken. In my own experience and in that of many other families too, communication between the various parties involved in health and social care – and between those parties and families – can be utterly shambolic. You should be kept fully in the loop about what’s happening, including by the discharge team. One would also hope that the nursing home (out of courtesy at the very least!) would maintain good communication with you. A Checklist should be completed before discharge from hospital, and if that is positive then the full assessment should also take place. Many people working in health and social care seem unaware of their legal duties under the Care Act to properly assess for CHC, and it is sadly not unusual for families to have to educate the ‘professionals’ in that respect. It’s a dreadful state of affairs. If your mum does go back to the nursing home before the CHC assessment process is complete, the NHS must pay for her care in the interim. In many hospitals there is blatant disregard of legislation and the CHC Framework. The Care Act of 2014 was implemented to prevent this happening. Many NHS staff and Social Care Staff have limited knowledge of their legal duties under the Care Act. It is a legal requirement to screen for CHC prior to discharge for someone with complex ongoing care needs. This must be by way of a CHC checklist and with the full involvement of the family/POA if that person does not have mental capacity or if that person wants to have them involved. The ward cannot make a referral to Social Services until this CHC (checklist) screening as taken place. Social Services cannot accept a referral from the NHS until this has been done. They must refuse to accept if they are aware that a CHC screening has not taken place and refer the case back to the ward. The delayed discharges regs do not apply whilst awaiting a CHC process so they cannot use the words ‘bed blocking’. They cannot serve a notice on a patient to leave without complying with legislation and doing a CHC screening/assessment. If the checklist is ‘positive’ then there must be a ‘full’ assessment for CHC with a full MDT and completion of a DST. This would involve Social Services. The NHS remains responsible for all funding of care until the completion of a CHC process. So they can discharge but the NHS must pay for all of that persons ongoing care if awaiting completion of a CHC assessment. If the checklist is ‘negative’ then the ward must refer to social services, and they (Social Services) must assess that persons ongoing needs and risks before discharge. Between Social Services and the NHS they must identify what the risks are and how their ongoing care can be met and write up a ‘care plan’ that meets their needs and manages risks. That care plan must be shared with the person and/or their family/POA prior to discharge. They must consult with the family/POA as part of assessing needs and writing up the care plan. Social Services must assess what that persons ‘eligible’ care needs are and consider that persons ‘well being’ needs prior to discharge. They cannot ask about a persons finances until after they have assessed what care needs are. You do not need to divulge finances until after the care needs assessment. If you need time to gather financial information then Social Services must fund all ongoing ‘eligible’ care needs upon discharge until the financial assessment is completed. Social Services must also carry out a ‘carers assessment’ under the Care Act prior to discharge. The ward can only legally discharge a patient when they have complied with the Care Act, Discharge regs, delayed discharge regs and with the CHC framework. Local policies on discharge do not remove or override their legal statutory duties. You can refuse to agree to a discharge if they refuse to comply with legislation. Make a note of the time and date any comments made to you by staff and ask for their name and professional body and point out that they are in breach of their code of ethics if they ignore the law. If they continue to ignore legislation and try to discharge then submit a formal complaint in writing ASAP and ask for the status quo to remain until the outcome of the complaint is known and until they have complied with legislation. If you feel that the patient is at risk of abuse, harm or injury as a result of their professional conduct then advise them that you wish to submit a formal ‘safeguarding’ alert and ask for an investigation of this potential abuse as per the Care Act. Ever more people are reporting extreme problems regarding hospital discharges and the lack of Checklists. I have always had a problem with our local ‘Discharge To Assess’ procedures not least because a Checklist is not generated. Nor apparently is there much in the way of care plans either. Transparency is non existent due to the use of a dedicated commuter system between Social Services and the NHS that one cannot get access to. Hospital Discharge seems to assume that all patients are cured and just need a brief rest before returning to work. Even in cases of probable death at some near point in time, the National Framework’s ‘Fast Track’ process is ignored in their haste to clear the bed. There again I have CCG directorial correspondence in the case of my relative sent home with his thigh bone exposed through a rotting stump, that stated that he was sent back to his nursing home (in less than four hours at hospital), in his best interests. He was confused, with an acquired brain injury that was exacerbated by disease and infection and the morphine that he was being given. There is a legal duty placed upon authorities to engage an, (IMCA), Independent Mental Capacity Advocate especially in cases where the patient is unrepresented and suffering obvious cognition loss or mental capacity issues that would hinder their ability to make their own decisions. Power of Attorney holders or family involvement is a get out that allows the authority to forgo this, but how many people have actually been present at all of the discharge procedures to enforce the legal methods, (or even know them), and the ‘best interests’ of the patient? Not many I bet. There again, in cases that involve frantic /scared /overprotective, (or dare I say inconstant or uncaring or unknowledgeable) relatives, I would have thought that an IMCA was a necessity? Thanks a million for your response. I know someone from Social Services was at the MDT meeting (we weren’t invited in spite of visiting the hospital every day). I believe Social services were involved because we raised our concerns about the nursing homes ability to keep Mam hydrated. They checked with the home who assured them they could. We could see that our mother was in the last stage of her life, but when we met with the Consultant she insisted that our mother was “bright”. We know Mam was eligible for fast track at that point and know we should have argued with them more, but we just wanted Mam back in her own room for the little time it was clear she had left. Luckily we managed to get Palliative care nurses for Mam when she got back to the nursing home and I can say that at least everyone stepped up to the mark on her return. Shame about the previous seven years. We will push this complaint even if our Mam won’t benefit, they might take more care in future. Good luck with your case, I think you have strong grounds to challenge what has occurred. I feel I am in a losing battle scenario, I have made it clear that I have no funds available, my mom is in no fit state to be leaving hospital (AIR team says she is), that I would like a CHC assessment done (they say it will be in the nursing home). Is it correct that they can move her from the hospital ( I haven’t signed anything). Mom cannot sign anything, she isn’t capable of this, and a test for CHC be done in the nursing home? It sounds like this is a typical discharge process that is ignoring what legislation dictates should happen. Ward staff use this strategy with self funding clients all the time to enable a rapid discharge. They tell self funding clients to request CHC once they are discharged via the Care home or to ring the CCG when they get home. This is a clear and blatant breach of the Framework and all regulations that relate to discharge. This is exactly why the Care Act and other regulations were implemented to stop this happening. See the links I posted in my reply to Elspeth above. Ward staff have a statutory duty to comply with process and legislation. This is also a requirement of their professional code of ethics. The Framework and the relevant regulations are there to protect vulnerable people who are ‘self funding’ from being treated in this way. Stand your ground and advise ward staff that they must undertake a CHC screening process and use the checklist. You must be part of this and must have a copy of it. If it is a positive checklist then they must proceed to a full CHC assessment with an MDT and complete a DST and involve Social Services. They must refer to Social Services with all discharges but only when a screening for CHC has occurred. Whilst awaiting the completion of a CHC assessment all that persons care needs MUST be met and funded by the NHS. The delayed discharges regulations state that it cannot be classed as a delayed discharge whilst awaiting a CHC assessment process so they should not use the words ” bed blocking” to you. There should be a PALS team in the hospital, I would involve them and ask for their help as ward staff are not complying with the Care Act and the regulations I have provided links for. You will have to be robust and ward staff may not like you taking this stance. But point out that their code of ethics requires them to comply with due process and legislation and that they could be in breach of these if they continue to ignore them. Around here they use ‘discharge to assess’. A relatively recent process designed to get around the CHC procedures and to avoid so called ‘bed blocking’. Even when they know a patient is represented, they do it without their involvement to avoid the risk of the bed being blocked. When argued immediately after discharged the platitudes include: ‘it was in the patient’s best interests to go home’. They used that one to excuse discharge of my FiL when he had massive infection in the exposed truncated thigh bone at the very end of his rotted stump. There is not even a checklist generated as far as I can tell. Everything is said to be done on a so called dedicated computer system that links Adult Social Care with the Hospital Involved. Then the NHS insists once again that everything is done according to the National Framework. Whilst expecting the Nursing Homes involved, to know all about everything and do most of the actual work for them. This is exactly what they have done in the case of my Mother. My mom was sent to the care home, even tho to my mind there is no reason for her to be moved there, she cannot speak, eat, or drink, is on Amber alert, and is up an down like a yoyo with infections. The day she was sent to the care home I actually managed to speak to a Dr, that is after I threw a tantrum at the nurses desk, and stated I didn’t think she was fit to be moved and the care home wouldn’t be the best place for her…. chat to dr, he was apologetic, implied there was nothing else that could be done in hospital for her, informed me that I should have been told about the Amber alert, and a whole lot of other things. The ambulance didn’t turn up for her when it should have, the medication that they gave her was wrong, my contact details forwarded to the care home were incorrect. The catalogue of mistakes goes on. What annoys me is the total lack of information that is correct, that you can understand, someone to guide you thru the maze, and how, the NHS can get round what the frame work set out to give respect and help to elderly people and their carers/families they require. I have answered your key questions and provided the relevant links to support any complaint you make re a failure to comply with the CHC Framework, Discharge Regs and the Care Act. Discharge regs & Framework state that screening using a CHC checklist MUST be undertaken prior to discharge). A checklist should still have been done regardless of whether her needs had improved. It is a statutory duty to screen for CHC and is not for a Consultant to prevent this. It would seem that the Consultant played a lead role in all of this. I would question what training he/she has had on CHC and if they have when did they attend a refresher course? I suspect they have never been on any CHC training. Re the swallowing problems, I would assume that prior to discharge there had been a SALT assessment which would be required to define the risks of aspiration and how best to manage and reduce risks upon discharge i.e. thickened fluids. The fact is that if a checklist had been carried and it was positive then all ongoing care costs would be the responsibility of the NHS whilst awaiting the outcome of the full CHC assessment regardless of the fact that she may well have been admitted from a care home where FNC was being paid. It would seem that the main driver was to ‘obtain the bed’ as quickly as possible and they deliberately ignored their statutory duties. Sadly this is very common on many wards as they try to prevent in their words ‘bed blocking’. It is far easier for them to do this with self funding clients than those who rely on Social Care funding. I have previously asked for advice about my mother’s situation and you have all been really helpful. Last week I received a reply to a complaint I submitted to the NHS because my mother had been discharged twice in a short period of time with a canula left in her hand (that was the first discharge from our newly built emergency hospital), then on her second discharge (from our local general hospital), a butterfly needle was left in her leg, her dressing had not been changed and she had a catheter, which the nursing home was not made aware of. We have received apologies for these oversights. They have said that it is particularly disappointing that this should have happened when our mother was so frail and unable to alert staff herself because she was unable to communicate. On both admissions our mother was really ill due to pneumonia and she was severely dehydrated As she is self funding and has been since 2008, we asked for a CHC Assessment to be carried out. This was refused and we were told that this would be done at the nursing home if necessary. I included this in my complaint, asking why a CHC Assessment was not carried out when it is part of the discharge process. They have come back with: “Your mother was assessed in May 2015 and awarded nursing care in June 2015 (it was recommended that a further assessment be carried out in six months, but they refused to do this stating that they were giving priority to hospital assessments). During the Multidisciplinary Team Meeting where all healthcare professionals involved in your mothers care met to discuss her progress, there is a record of a discussion taking place regarding the possibility of repeating the CHC assessment. At this time the consultant in charge of your mother’s case felt that your mother’s condition had actually improved during her stay in hospital and that the nursing home were able to meet her needs, therefore it was deemed unnecessary at that time. However, should your mothers condition change and she became more unwell, she would then be able to have a fast track assessment at the nursing home.” – which is exactly what happened (at our request at the nursing home). They have apologised that this information was not communicated to us at our meeting with the consultant. They have also stated that our mother is recorded as having a safe swallow, when in fact she needed thickened drinks (and was prescribed stage 2 thickened milk drinks because of her swallow difficulties and because she had lost so much weight) because she coughed every time she drank and mealtimes took well over an hour. I’m wondering what the definition of safe swallow is, but if you can offer any help with regards to how I can respond to the reasons they have given for not carrying out a CHC Assessment, I would appreciate it. Angela – you did give me a link before, but that seems to be broken now. My mother died shortly after her second discharge after not eating for about three weeks and being hydrated by “sub cuts” which a friend had told me to ask for – they were not offered by any of the medical staff who were supposed to be helping our mother in her final weeks. Thank you both for this really good information. In direct relation to our problem could you tell me who pays when, following 12 months of CHC funding, the MDT review is now recomending withdrawl of CHC funding for my relation. We are of course appealing as her condition has, in our opinion, got worse. Who pays the care home fees from now until the appeal is heard? That happens to us regularly. In our case the asset and cash value is low. So the council is involved. I believe that one can ask them to be involved even if funds are above the maximum permitted. Or one could simply refuse to pay the nursing home. However, in our case, we simply refuse to repay the contributions that the council demand. They are still demanding payment and refusing data in regard to another relative who died at the end of Jan 2016. Awaiting IRP appeal since Oct 2013. He spent much of that in hospitals yet was still paying for his healthcare…… Go figure! The council are committing a Data Processing Act Offence; with massive potential for fines. As for the demanded repayments; I regularly ask them to take the matter to court because it is cheaper to defend than attack. I also let them know that removal of CHC when the patient patently cannot have got any better or their needs actually permanently removed, will require them explaining to a judge why they have accepted the care needs and costs are within their legal remit. I also let them know that I will ask the court to order the NHS to attend because it is they that could equally owe the money for the care needs. It is also the case that to obtain money even temporarily, that you cannot prove is yours, is likely a criminal offence under the theft act. Councils have an inbuilt protocol to repay money if they are proved to have been wrong. It is not up to us to prove that they are wrong as regards the money, but it is for them to prove that they have clear title to it; so to speak. That would of course require the CHC assessment to be played out in front of a Judge, to a degree. The NHS and the council do not want legal precedents similar to the Coughlan case being established…… Ergo they go away and hassle someone else, whilst I get on with a robust case for an Independent Review Panel. You don’t have to do it this way but it does make one feel as if one has retained some control. I frequently come across this scenario whereby ward staff and LA staff collude to ignore what should happen with regard to CHC screening prior to discharge. I have had a number of cases in the last 6 months where there has been deliberate and blatant disregard of legislation. The Care Act and Discharge regulations and the CHC Framework make it very clear that there is a statutory duty to screen for CHC in every case prior to discharge. That a CHC checklist must be used to do this, and that the person,family and or advocate must be made aware of the checklist process and must be invited to be part of this. That they must be given a copy of it and that they can challenge the content and outcome. A discharge cannot take place until the CHC screening has occurred. The ward cannot refer the case to Social Services until they have completed this CHC screening and Social Services can decline to take a referral if it hasn’t been done. The delayed discharges Act states that a case cant be classed as a delayed discharge until a CHC screening has taken place. The insensitive phrase of ‘bed blocking’ cannot be used either whilst awaiting a CHC screening. I have had a recent case where the family were insisting on a CHC checklist taking place in line with legislation and the ward manager said they don’t do checklists on their ward as it can take 11 weeks for this to get done and this would “block beds”, this is unlawful behaviour. Another case did a checklist in secret that was positive and should have led to a full CHC assessment but they kept this hidden and tried to discharge the patient without informing the POA of the positive checklist. I have another case where the ward did one checklist with the family that was positive, where advised by the CHC team to do another one. The 2nd checklist was also positive and were again advised to do a third one that surprise surprise was negative and this allowed them to move to a discharge without moving onto a full CHC assessment. Angela is correct with regard to who pays for any ongoing care post discharge whilst awaiting a CHC screening or following a positive checklist a full CHC assessment. The Framework is clear, it is the duty of the NHS to fund all care whilst awaiting the outcome of a CHC process. So if they ward want to discharge whilst awaiting for completion of a CHC process then the ward pays until it is complete. I had a case where the ward had delayed doing a checklist then when it was done and showed the need for a full assessment they tried to get the POA to pay for placement in a nursing home. When I intervened they rushed through an MDT and completed the DST and recommended that the patient wasn’t eligible for CHC. They then again tried to get the POA to pay for the placement. I again intervened and pointed out that until the case had gone to a CCG panel that the ward must still pay for the placement. They eventually relented and agreed to pay for the placement until the panel made a decision 2 weeks later. Be aware that ward staff are under pressure to avoid delayed discharges and they either don’t know what legislation states re CHC screening and funding care or will deliberately ignore the law. You have rights and you should stand your ground. Excellent info, Bernie – thanks very much for your comment. I also really dislike the term ‘bed blocker’. It attempts to put the blame for delays on the person in hospital, instead of putting the responsibility on the system that (often deliberately) prevents people accessing the care and care funding they need. I am currently working on coroners inquest and rebutting a 25 page statement from the hospital involved. 53 year old patient presented with long term malnutrition. R. Arthritis. Was bed bound for some years. Also hypothyroidism was involved as was non concordance with medication at home. She was also very obviously mentally ill and lacking cognition. No Independent Mental Capacity Advisor was employed by the hospital. That was the first failure to meet a legal duty and law. Then the hospital failed to feed and hydrate her by any of 3 methods available and were still discussing it in terms of delaying it until Monday when the dietitian would be available, on the Saturday of her death. They barely treated her either. Prescribed meds were refused. The report stated that everyone from nurse to consultant was confused by two ‘legal frameworks’, the Mental Health Act and the Mental Capacity Act, in regard to what they could do. This was all apparent in my father in law’s recent treatment at the same hospital too. They overcomplicated matter with DOLS applications etc. and failed to understand, after six years of it being on the books, that the Mental Health Act 2007 at section 4B states that it is entirely correct to deprive someone of their liberty in order to give life sustaining treatment. Hardly a week long training course to understand that is it? They wrote that they felt that it was difficult to treat a recalcitrant poorly cognitive mentally ill patient against their apparent will. Instead they let her starve to death with congestive heart failure being the certified reason. So to get to the point……. If they cannot deal with their core reasons for existing and actually treat mentally ill patients that show up with very serious medical conditions, then how the hell can we rely upon them to understand the arcane logic and twisted rules of NHS CHC.